Islamabad, February 16 (KMS): The world human rights watchdog, Amnesty International, has expressed serious concern over the use of pellet guns by Indian troops on protesters in occupied Kashmir. The Amnesty has written a letter to the Canadian Prime Minister, Justin Trudeau, ahead of his visit to India urging him to raise the matter of the use of pellet guns in his meeting with the Indian prime minister, next week. 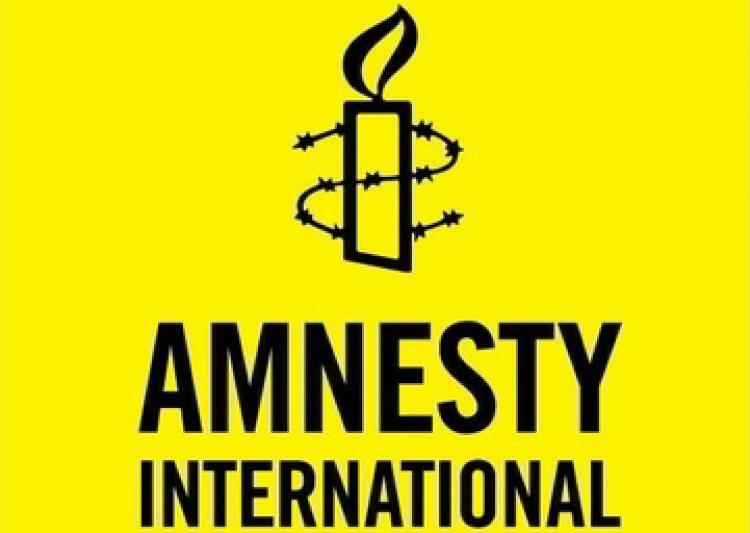 In the letter, the Amnesty International has said that Indian forces have been using pellet firing shotguns in occupied Kashmir since at least 2010 and during this period, these weapons had killed, blinded and injured thousands of people. it said that in January this year, the puppet administration of occupied Kashmir admitted in the so-called Assembly that 6,221 persons received pellet gun injuries, including 782 eye injuries, between July 2016 and February 2017. However, the world human rights body said that the actual figures were likely to be even higher. Meanwhile, in occupied Kashmir, Indian troops, in their fresh act of state terrorism, martyred two Kashmiri youth during a violent military operation in Balakote area of Poonch district. The troops also conducted cordon and search operations in Palhalan, Arwani, Islamabad, Meindhar and Samba areas, causing huge inconvenience to the people. The residents of Palhalan and Arwani staged demonstrations against the operations. Indian police and troops used brute force to disperse the protesters, triggering clashes between the demonstrators and the forces’ personnel. The Chairman of Hurriyat forum, Mirwaiz Umar Farooq, addressing a gathering at Jamia Masjid in Srinagar, today, strongly denounced the puppet authorities for preventing people from offering Juma prayers at the mosque. He said that the Kashmir dispute would not disappear by blocking all avenues of public expression of protest and outrage against repression. Hurriyat leader, Mukhtar Ahmed Waza, addressed a public gathering in Seller area of Islamabad district. On the other hand, complete shutdown will be observed in occupied Kashmir, tomorrow, against the shifting of Kashmiri detainees from Srinagar Central Jail to Jammu, staying of an FIR against the Indian troops involved in recent killing of civilians in Shopian by the Supreme Court of India and the brutal killing of a Hurriyat leader, Muhammad Yousuf Nadeem. The Jamaat-e-Islami of occupied Kashmir in a statement has said that Srinagar Central Jail has been turned into a big torture centre. The illegally detained senior APHC leader, Ghulam Muhammad Khan Sopori, has completed one year in jail despite court quashing his detention under draconian law, Public Safety Act, twice. India’s National Investigation Agency has taken into custody five residents of Pulwama on charges of abetting the escape of a prisoner from SMHS hospital in Srinagar.